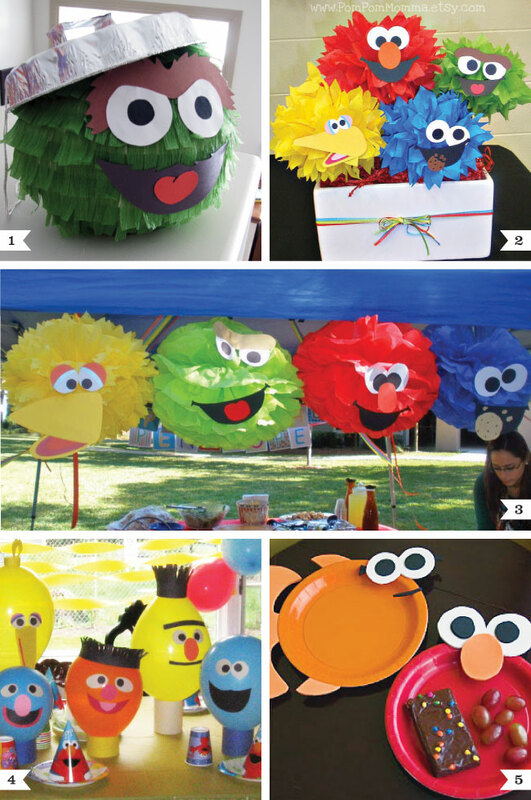 One of the great things about a Sesame Street theme party is that the characters’ faces are so simple – it’s easy to make them into really adorable party decorations. Start with any round shape (such as a party pom, a balloon, or a plate), cut out googly eyes and mouths, and you’ve got an Elmo, Big Bird, or Cookie Monster in no time! These are so cute! I love poms! Hi Heather, Thank you so much for linking to my balloon faces! I am honored to be in such good company with those other great ideas as well. I'm tempted to have another Sesame Street party :) Your blog is great!